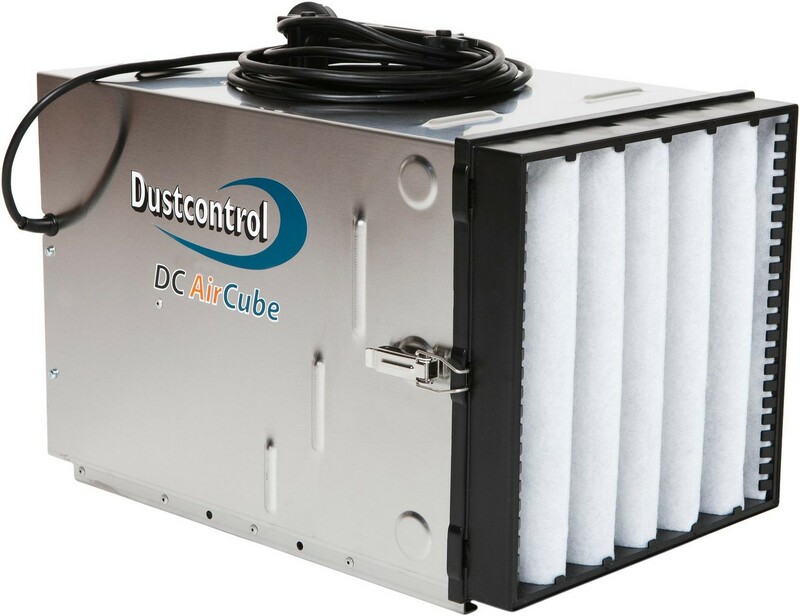 The DC AirCube 500 air cleaner is designed to separate fine and hazardous dusts down to 0.3 microns. The fan unit is a radial blower with a specially designed scroll to build up high pressure across its complete flow range. This means that the unit generates large amounts of airflow during the entire lifetime of the filter.